We all know that price is not always the indicator of quality, and yet, we still tend to make rash judgments based solely on the price tag of a product. You have probably been in a situation like this: looking at the product name, and jumping to the bottom line, and skipping all the Features list. That’s how we end up buying cheap solutions that in the end, get us paying twice. The world of FOIA Software Solutions is no different. Organizations, led by the acceptable asking price and crafty marketing tricks end up buying an FOIA Software Solution that will prove to be painfully expensive in the long run. As someone who has been in the industry for almost two decades, the best software purchasing advice I can give is: Don’t look at the price tag before you spend considerable time looking at the quality of the solution. Let me expand on this a bit. To Cheap Or Not To Cheap: Where Does Quality Reside? It never ceases to amaze me just how many people buy so many things, and the reason for purchase is “because it’s cheap.” Buyer’s Remorse is probably the flip side of this reason. Most people end up realizing that something cheap that doesn’t do the job is actually an expense. A wasted chunk of cash. Expensive FOIA Software Solutions, or any other solution for that matter, don’t always deliver a service proportional to the paid amount of money. Very often, we end up paying for the name of the company, instead of the product. Good for the company. Bad for us the buyers. Cheap FOIA Solutions are usually a product of startups that try to find their way into the industry. And although some of these companies have the will and the knowledge of doing something right, they still lack the experience in the industry to provide a deeply useful solution. A cheap solution might sound good at the moment, but thinking long-term it will probably cost you a lot more than you want to acknowledge. 9 out of 10 startups fail. So there’s a 90% chance of that cheap vendor to go out of business sooner than you’d expect. But let’s say the startup is very agile and it will survive. Think for instance about the maintenance of the software solution. You may find a cheap FOIA software that may end up being resource-intensive to maintain and keep compliant. It may be an issue of cost, and it may be an issue of the company taking too long to figure things out and launch an update. And what about migration costs? Migrating onto a new FOIA software solution is a separate point you’ll want to consider. Cheap providers may end up providing migration on the cheap. Make sure the solution you choose won’t break the bank to implement and maintain. You don’t want a cheap on the front-end but expensive at the long-run solution. I think we’ve established that fairly quickly. You also don’t want the most expensive FOIA Solution on the market, expecting that price equals quality. Clearly, your aim is finding a reliable, cost-effective FOIA Software solution. Let me state the obvious here. A Cost-Effective solution is one that will offer repeatable, effective work, that will make sense for the price you’ve paid… and a bit over that. Basically, you get a sense of getting more than what you paid for. A good deal. The only way to get this good deal of a cost-effective FOIA solution is to dig a bit deeper, way beyond the company’s marketing pitch. And here, what’s a “best buy” for one organization may not be the best deal for you. The way you find the best FOIA solution for your team, is to take a long, hard look at your team. Let me explain in more details. The goal of this step is to find out the weaknesses and needs of your team. The time it takes your staff to accept a submitted form, to pass it on between departments and respond to it. Whether submitted forms and all case-related data is stored safely, or there are some risks of data leakage and invading privacy. Whether you can easily track the progress of requests. Whether you and your employees can keep track of who’s working what, and who’s next in the process of processing the form. Whether your current system allows integration with other platforms. Whether your communication with requesters, colleagues, other departments and organizations is unified under one interface, or you and your staff need to use various means. Once you make a list of the problems that cause a decrease in your staff’s productivity, use them to your advance when looking for the right FOIA Software solution. Don’t let price defocus you at this stage. 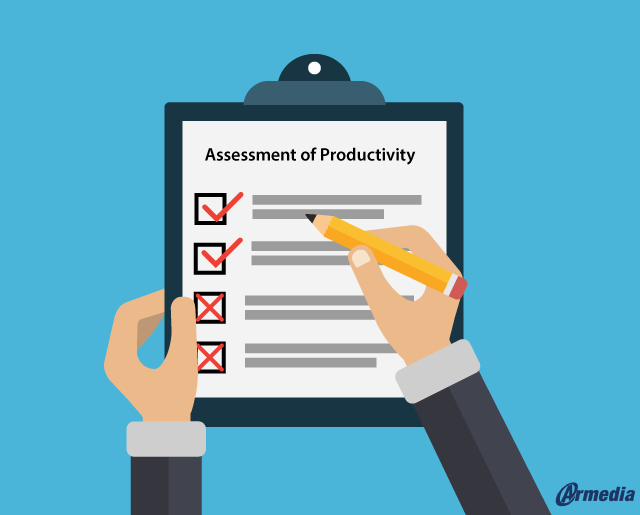 Zero-in your attention only on finding the solutions which will fill the productivity holes. The company you choose is an experienced, established vendor in the industry. After all, you’re buying their solution, not buying in their marketing pitch. The solution relies on integration because no single company can solve all requirements while offering a reasonably priced software. You don’t want a Jack Of All Trades solution. The solution is flexible and allows customization because no two agencies could have identical needs and wants. The FOIA Solution is scalable. The number of FOIA requests increases every day and so does the need for extra storage and extra staff. The solution is secure. Make sure the FOIA Solution you choose is a hacker-proof software solution which meets government regulations. And, don’t make functionality compromises that you can’t live with. Because, in the end, you will be the one paying the price for the pitfalls of your choice. Base your search on your needs NOT on the price and you will find the FOIA Software Solution that is perfect for your organization requirements. 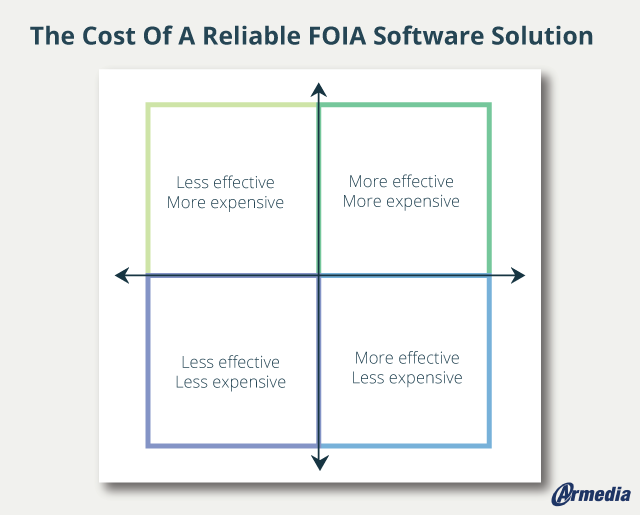 Whether you’ll choose a cheap, expensive, or a cost-effective FOIA Software Solution depends solely on your research. Take your time, do your homework. That’s the best route to pick a cost-effective FOIA Software Solution. As you can see, finding a reliable and cost-effective FOIA Software Solution is not an easy job. It takes time and research. And there’s no one-size-fits-all approach either. Take a look, for example, at Armedia FOIA Software Solution. 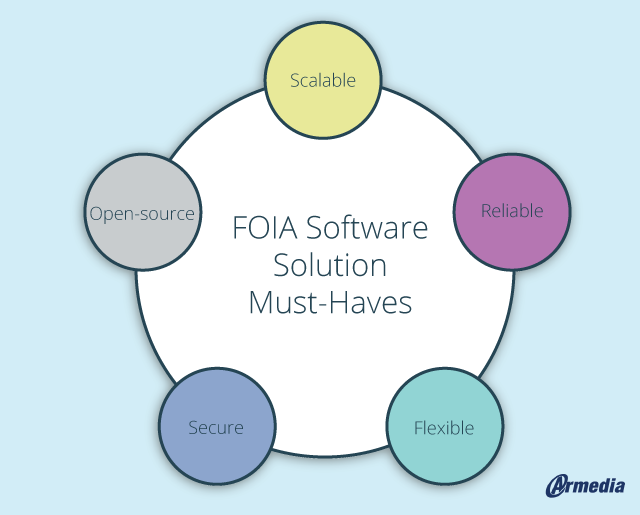 Armedia FOIA Software Solution is a cost-effective, reliable, secure, flexible solution that uses proven technologies that are neatly integrated into a single package, suited for FOIA Agencies. An FOIA Software Solution that partners with industry leaders such as Alfresco, AWS, Snowbound, Ephesoft, etc. Continuous technical support from Armedia, who has been in the industry for over 15 years. Secure storage of your data, compliant with the DoD 5015 and NARA standards. Reliable data migration from any previous system onto ArkCase. Limitless room for growth, thanks to the Amazon Cloud. To make sure that our FOIA Software Solution meets all of your needs, you can check out our webinar. And please make sure to share this blog post with your colleagues on social media so they can also avoid common pitfalls in choosing a reliable, cost-effective FOIA Software Solution. If you have any questions about our FOIA solution, don’t hesitate to contact us.